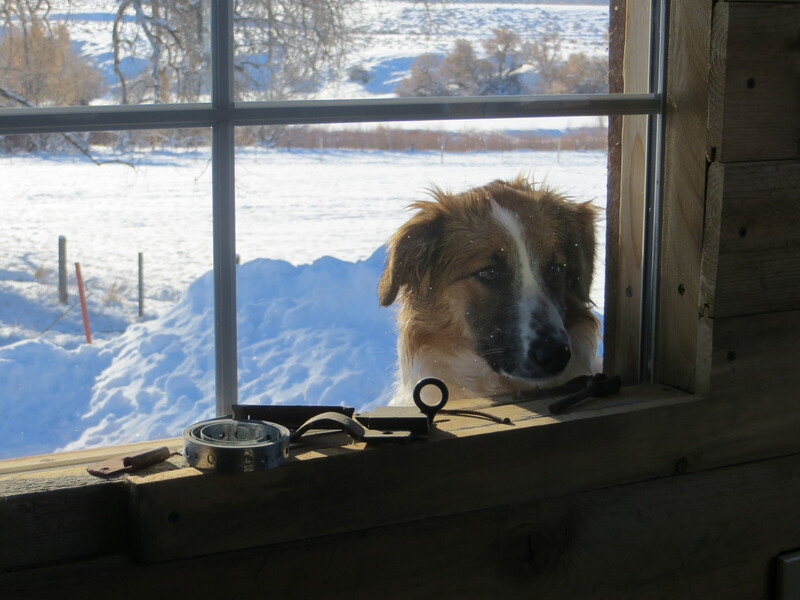 Is there a short-hair English Shepherd? No, not really. There’s variants in coat thickness, even some curly haired, but not really short haired. Aw! she’s just checking out the progress on “her” portrait! Aw, I love it! ES sure love to be with their people, don’t they? Why won’t you let me in??? PLEASE.